PHOENIX – Climbing the corporate ladder has never been a woman’s game. In 2014, women still make about 80 cents to each dollar men earn and are holding fewer leadership roles throughout their careers. So more and more women are bypassing the ladder altogether by starting their own businesses. A recent report from the Institute for Women’s Policy Research gave Arizona a grade of C for women’s employment and earnings. Arizona dropped 13 spots to 30th in the nation for female employment and income equality, according to the 2012 American Community Survey from the U.S. Census Bureau. According to the report, Arizona women make $36,000 annually, or about 80 percent of what men make. And of all the employed women across the state – more than 46,000 according to the Bureau of Labor Statistics – less than 38 percent are in managerial or professional occupations. Marie Sullivan, CEO of Arizona Women’s Education and Employment, a nonprofit workforce development organization, said there are a number of reasons why Arizona may have received a poor score. “What we’re known for in Arizona is low wages and putting people to work in those sectors that don’t pay well,” she said, noting that more than half of the jobs in those-low paying industries are occupied by women. “Health care – on average low wages. Social services – on average low wages. Education – on average low wages,” Sullivan said, listing off industries that may have seen job gains since the Great Recession but not necessarily in high-paying positions. Sullivan said a workaround for women who aren’t finding their footing in a corporate setting is taking advantage of Arizona’s entrepreneurial spirit. “Women are often at the forefront because they couldn’t find work that was sustaining them in traditional ways,” she said. Lauren Bailey, co-owner of Upward Projects, which runs several Valley restaurants including Postino and Federal Pizza, said stereotypically female traits like humility and empathy are conducive to the entrepreneurial lifestyle. But that humility didn’t always work in Bailey’s favor. 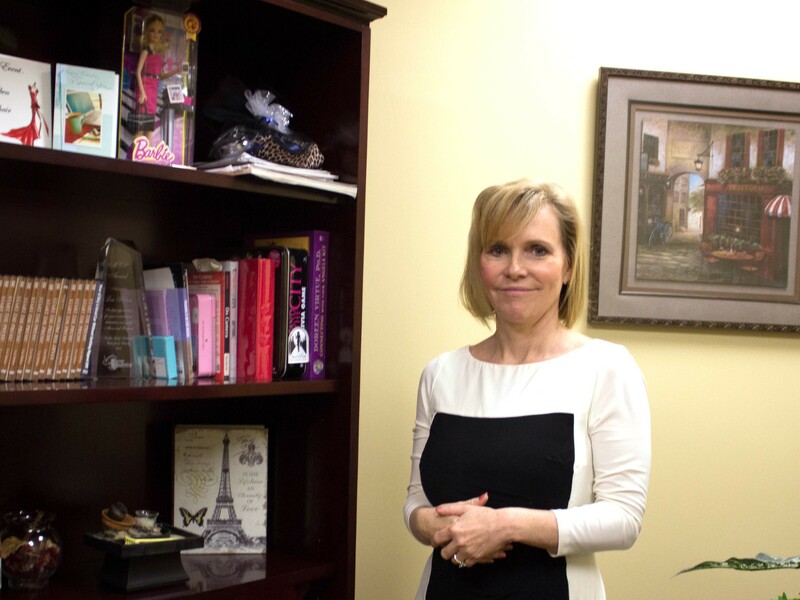 When she was starting Upward Projects and going to meetings with her business partner, Craig DeMarco, Bailey said everyone would assume she was his assistant. “They would only make eye contact with you about things they thought were in your wheelhouse, like menu design,” Bailey said. 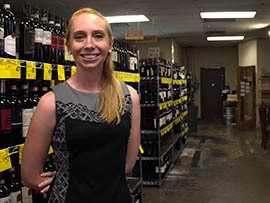 Morgan Klemp, who co-owns Arroyo Vodka with her sister, said starting up the brand wasn’t always easy in the “boy’s world” of liquor distribution. Klemp’s father, Ray Klemp, owns Arizona Wine Co.
To change their minds, Klemp said one has to be confident and know what she’s talking about. Dale Kalika, senior lecturer at Arizona State University’s W.P. Carey School of Business, said women can experience barriers when trying to get ahead by taking on stereotypical male traits. This is what’s called a double-bind. Plus, all that humility a woman comes by naturally doesn’t often work in her favor when she attempts to move into a senior management job. Women don’t negotiate as often as men, nor as quickly into a job. “We feel that we really have to prove ourselves and consequently promotions take longer and obviously that impacts income,” Kalika said. That could be why women go into business for themselves. “Small business is very demanding and the hours are long. But it also gives them a lot of autonomy and control over their destiny,” she said. Though it may seem riskier to start a business from the ground up rather than pursuing a 9-to-5 job, SmartFem owner Lea Haben-Woodford said women are used to working that much harder, and smarter, to get what they want. “I think there’s more job security in yourself than giving that over to a company,” she said. 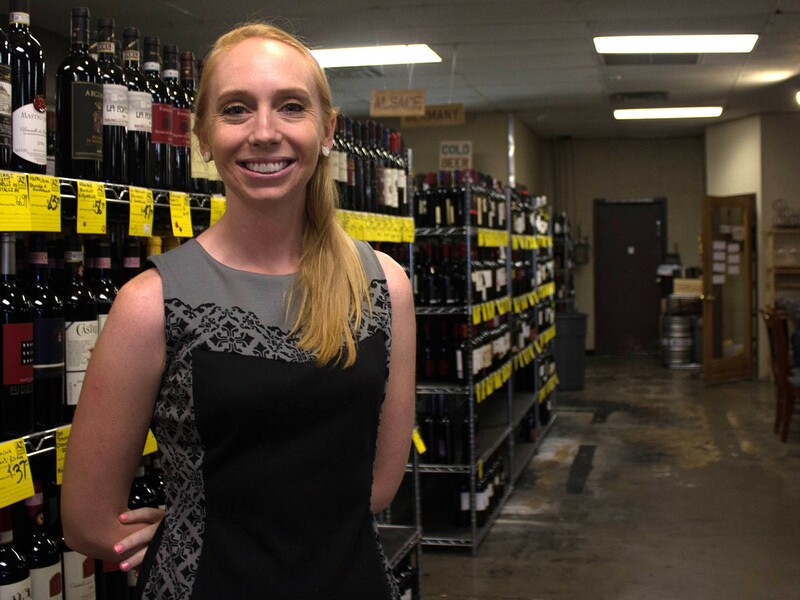 Morgan Klemp, who co-owns Arroyo Vodka with her sister, said starting up the brand wasn’t always easy in the "boy's world" of liquor distribution. Lea Haben-Woodford, the publisher and owner of Scottsdale-based SmartFem, an online and mobile magazine for women. She said running her company in Arizona has been great, given the state’s typically warm embrace of small businesses.